Billions of pounds worth of fixed-rate mortgages reach the end of their introductory terms this month, but finding the right deal to switch to can be like searching for a needle in a haystack. Don’t panic though – we’re here to help, with details of the cheapest rates at every loan-to-value level and advice on how to choose between a two and five-year fix. Our analysis can help you find the right deal for your circumstances and show you what to watch out for when you’re remortgaging. For expert advice on the best remortgaging deal, call Which? Mortgage Advisers on 0800 197 8461. More than £22bn worth of mortgages are coming to the end of their introductory terms this month, according to research by The Times. 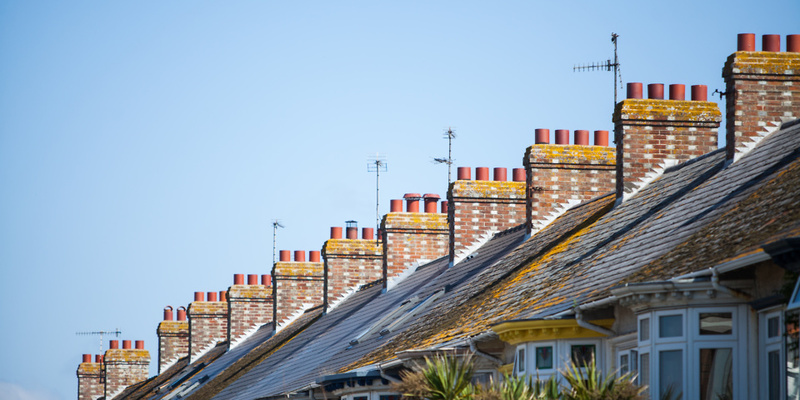 Homeowners on fixed-rate deals now face a race against time to avoid being automatically passed on to their lender’s standard variable rate (SVR) – which can be considerably more expensive than the cheap introductory rates offered by banks and building societies. If you’re reaching the end of your introductory term, the good news is that you can usually agree a new deal up to six months before your current one expires, and by doing your research and taking professional advice you could save thousands of pounds in the long run. We found that by switching before being moved on to your lender’s SVR, you can save at least £200 per month (based on an outstanding loan amount of £200,000). The payments you’ve made so far on your mortgage might enable you to remortgage at a lower loan-to-value (LTV), and thus a cheaper rate. Our research found that after two years of paying off a 95% mortgage, it could be possible to remortgage at 85%. It’s an uncertain time in the housing market, but mortgage rates are very attractive right now, particularly on longer-term deals such as five-year fixes. Remortgaging: should I get a two or five-year deal? If you’re planning to switch deal, you’ll need to consider how long to fix your mortgage for – with two or five years the most common options. Amid confusion over Brexit and what might happen to the Bank of England base rate, an increasing number of homeowners are now fixing their rate for longer while deals remain attractively priced. And it’s easy to see why – the gap between the average rate on a two and five-year fix has closed in each of the last four years, and currently stands at just 0.4%. Source: Moneyfacts. Based on rates from 1 April each year. We’ll come on to the pros and cons of fixing for longer later on, but first, let’s take a look at some of the chart-topping remortgaging rates currently available. The interactive chart below shows the cheapest introductory rates at each LTV. Recently, the gap between rates at lower LTV levels has closed significantly, meaning the cheapest remortgaging deal at 90% below is just a quarter of a percent more expensive than the cheapest rate at 60%. When it comes to five-year fixes, it’s possible to remortgage at 75% LTV for a rate of below 2%. As with two-year fixes, there’s little to choose between most LTVs, though 95% mortgages are around three-quarters of a percent more expensive than 90% deals. How much more does it cost to remortgage at a higher LTV? By now, you’re probably wondering what these figures might actually mean for your monthly repayments. How much you’ll pay each month depends on the specific deal you’ll be eligible for, but as an example, let’s say you’re borrowing £200,000 over 25 years on a two-year fixed-rate deal at the rates shown above. As you can see, the difference in monthly cost between the lowest initial rates at different LTVs is fairly low, with the exception of 95% mortgages, which remain significantly more expensive. How expensive are the fees? the deals we looked at earlier all had exceptionally low rates, but rates alone don’t tell the full tale. As you can see, some of these chart-topping deals come with fees well in excess of £1,000. Fee-free deals are available, though you’ll struggle to find a market-leading rate that doesn’t come with an up-front cost. Does the deal have early repayment charges? Longer-term fixes might offer rate security, but some come with very high early repayment charges (ERCs), which can be as much as 5% of the overall loan. If you think you might want to move before the end of your fix, consider a shorter deal, or find a portable product that comes without ERCs. There’s no guarantee that rates will stay this low in the future, so if you’re able to, it can make sense to make overpayments on your loan and reduce the overall term of your deal in the long run. Some mortgage will let you overpay by up to 10% of the capital each year, but others impose far stricter terms, so do your research before jumping in. Find out more: find out how the big banks fared with customers in our guide to the best mortgage lenders. Finding the right mortgage can be a complicated business, with more than 5,000 deals on the market. With this in mind, it can be beneficial to take advice from a whole-of-market mortgage broker, who can assess all of the available deals and find you the right mortgage based on your financial circumstances.